One aspect of buying a home that can send shivers down the spines of both buyers and sellers is the conveyancing process. Often cited as the most frustrating parts of buying or selling a home, conveyancing nonetheless remains a hugely important part of the sales process. What is conveyancing? To use the official definition, conveyancing is the legal transfer of a property from a seller to a buyer. Essentially, it dots the Is and crosses the Ts and makes sure everything is in place legally when a property is bought and sold. And let's face it: Given the amount of money changing hands for the average property sale, making sure everything is legally water tight is extremely important. Should I use a solicitor or a conveyancer and what is the difference? Technically it is possible to do the conveyancing on your sale or purchase yourself, but we wouldn't recommend it! The first thing for both buyers and sellers to do is decide on a solicitor or conveyancer and engage them to oversee the sale or purchase of their property. Once you have signed a contract with your solicitor or conveyancer agreeing to their fees, they will make contact with the solicitor or conveyancer on the other side of the sale to confirm they are acting for you. The buyer's solicitor will request a copy of the draft contract, title deeds and other documents from the seller's side. 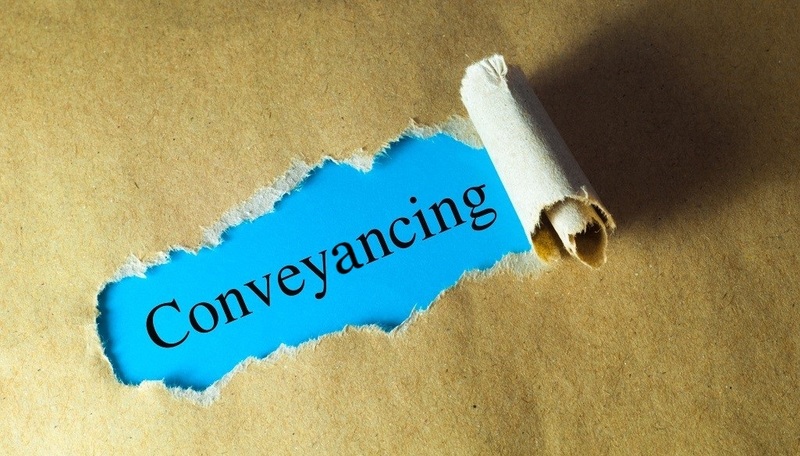 One of the main aspects of the conveyancing process involves both sides raising enquires with each other based on the documentation they receive. This can also see both the seller and buyer asked for clarification on certain issues, so ensuring you are available and can answer the enquiries quickly and accurately is one way of keeping the sales process on track. One of the most frustrating parts of the conveyancing process can be local authority searches. Solicitors and conveyancers often find themselves at the mercy of council backlogs, yet searches remain an integral part of the legal process. These searches will outline areas for concern, such as planned major development around the property being purchased like a new road. Your conveyancer will check the title register and title plan with the Land Registry which proves the seller owns the property and is legally entitled to sell it. Sometimes properties in certain areas are liable for a contribution to the local church's repairs, dating from medieval times. Chancel repair insurance can be taken out for a small fee to make this void. One of the most important searches during the conveyancing process, environmental searches will provide data on land contamination around the property or whether its foundations sit on unstable land such as a former landfill site. The search will also flag up flooding concerns or gas hazards. The cost of completing the legal process on your sale or purchase will vary. Many solicitors will quote for their services based on the value of the property you are buying or selling. And don't forget: Most solicitors or conveyancers will charge additional fees for searches. The average cost for conveyancing in the UK in 2018 was £1,419 according to Post Office Money, but add on those fees and you could be looking north of £2,000 in some cases. If you are buying a home, your solicitor or conveyancer will receive a copy of your mortgage offer and work through the terms and conditions. They will also ensure a mortgage valuation is carried out on the property so your lender can be certain its value covers the mortgage amount. Your conveyancer will also go through the documentation from your survey and ensure that everything is as it should be for the purposes of your mortgage agreement. Your solicitor or conveyancer will exchange contracts with the other side's solicitor or conveyancer usually by reading out the contents of the contract over the phone and ensuring both match up. Once contracts are exchanged, the sale and purchase is legally binding meaning both sides are committed to complete or risk legal action. Before completion day, the buyer's solicitor or conveyancer will lodge an interest in the property with the Land Registry to give time for your funds to be paid to the seller's legal team and the title deeds to be transferred. At this stage both solicitors or conveyancers should sent final financial statements to their clients and any outstanding funds will need to be cleared into the legal accounts prior to completion. Once the seller's solicitor has confirmed all funds have been received from the buyer's side, the keys will be released. The buyer's solicitor or conveyancer's work doesn't end there. While you are unpacking in your new home, they will ensure your Stamp Duty is paid and arrange for the legal documents to be passed to you from the Land Registry. They will also send a copy of the title deeds to your mortgage lender and send you a final bill for payment if any is outstanding.